The Joint Admission and Matriculation Board (JAMB) has revealed that Imo state has the highest number of registered candidates for the 2018 Unified Tertiary Matriculation Examination (UTME), which begins on Friday, March 9. Other states with equally high number of students include Oyo and Osun states in second and 3rd places, respectively, while Abuja lags behind. Registrar of the Joint Admissions and Matriculation Board, JAMB, Prof Ishaq Oloyede, said no fewer than 92,890 candidates of Imo origin registered for the exercise with Oyo accounting for 86,695 and Osun 86,044 candidates. Abuja has the lowest with just 6,418 applications from candidates. He said JAMB was ready to conduct the 2018 UTME in 605 CBT centres across the country, adding that a total of 1,662,762 candidates were registered for the Friday exercise, representing a decrease of 55,642 candidates or 3.2 per cent from the number of candidates in 2017. According to him, the drop in the number of candidates was largely due to measures put in place by the board to forestall multiple registrations and other unwholesome registration practices. He further disclosed that a total of 367 visually impaired candidates registered for the 2018 examination as against 201 in 2017. 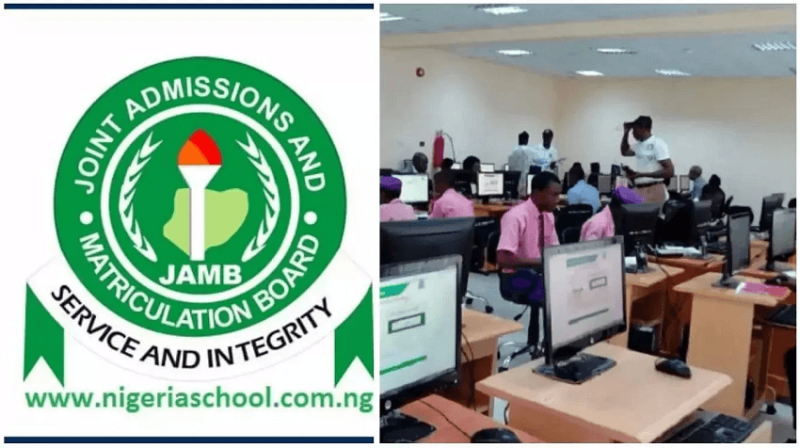 Speaking on multiple registration, the JAMB boss noted that the act was fraudulent and JAMB will not relent in its efforts to tackle and halt any act that may likely aid examination irregularity. “The new system of capturing live pictures through USB cameras instead of scanning of pictures; biometric capturing of ten fingers and the order of arrangement of names has curtailed incidences of multiple registrations,” he said. He warned that there shall be no rescheduling of any examination, adding that candidates are to adhere strictly to the date and time allocated to them for the examination as any candidate who fails to turn up on schedule will automatically miss the exams. “Candidates are advised to shun all forms of infractions. Let them prepare well by studying as there is no easy way to success. Lateness, rudeness, and all kinds of disruptive behaviours would not be tolerated. He said items such as watches, cameras, recorders, calculators, microphones, spy glasses, cell phones, ear-pieces, ink/ pen readers, smart lenses, smart rings/jewelleries, smart buttons, Bluetooth devices and storage devices among others were banned from exam centres. “Consequently, all officials, CBT owners and candidates are hereby warned not to bring any of the above banned items into the examination venues as ignorance would not be taken as a defence. “About 6500 permanent and adhoc staff are deployed for this examination. Examination Officials are reminded that the rules guiding the conduct of the examination have been included in the Training Manual given to them and also on the Board’s website. “We appeal to them to follow the steps as indicated in the manual for a hitch-free examination,” he said.